one of the reasons we've seen an erosion of trust , broadly, in big companies is they've allowed themselves to be seen as detached from society" says Witty, "and they will float in and out of societies according to what the tax regime is. I don't buy that you can be this mid-Atlantic floating entity with no allegiance to anybody except the lowest tax rate." Powerful, and excellent, words. 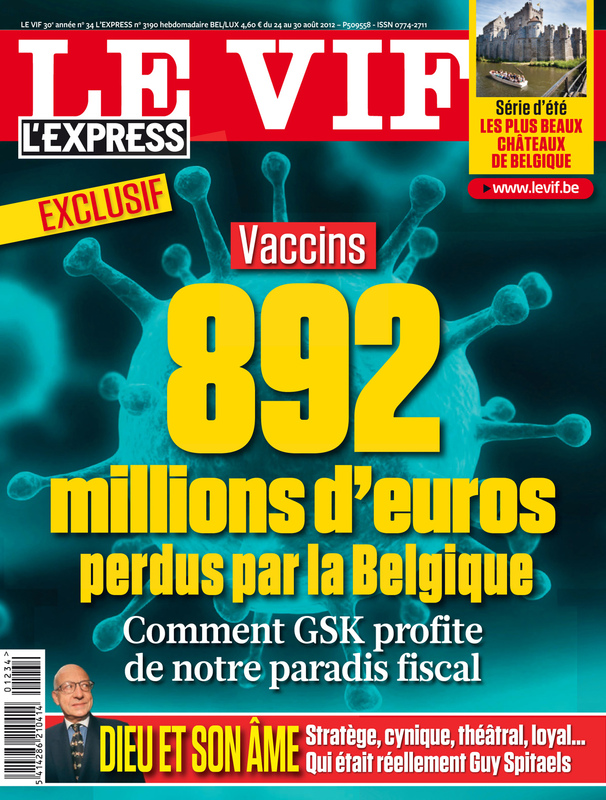 We hadn't investigated GSK's tax affairs at the time, but now David LeLoup in the Belgian mangazine LeVif/L'Express has done some probing. It turns out we shouldn't have been quite so gushy. 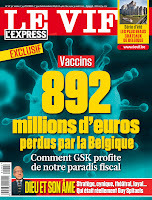 The main story is about how the GSK Group used Belgium as a tax haven to avoid tax on over a billion Euros in royalties linked to GSK's worldwide sales of the swine flu vaccine Pandemrix in 2009-2011. In a nutshell, these royalties were taxed at less than 3%, thanks to two Belgian fiscal measures: first, a 80% deduction on royalties earned by the company, and second, the so-called "notional interests", a Belgian tax specialty.